For the most part, I have stopped doing this now that I have older kids who will know I am lying and I don't want to set that example for them. I still lie about what shows are available to watch when I am checking out the guide for my 4-year-old and no one else is home. Haha! 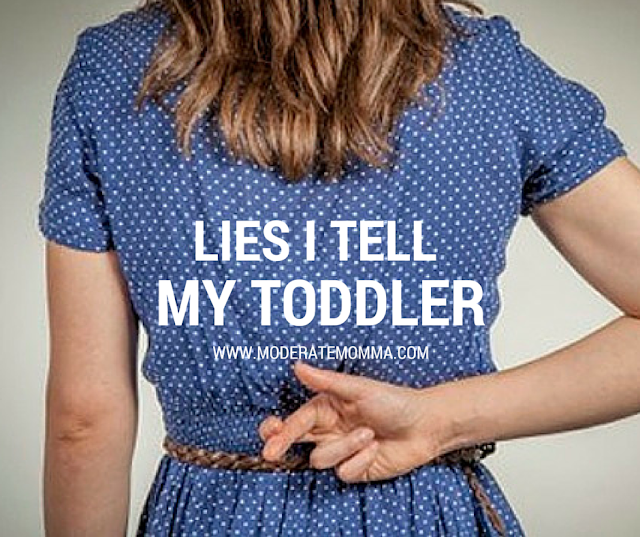 In order to save my sanity, I had to tell white lies sometimes. I will tell my toddler daughter this specific toy is broken so we cannot play with it. A friend of mine told her son that one particularly loud and annoying toy did not have replacement batteries. As in, they do not exist. Brilliant!